Elsevier is the publisher and copyright holder of the Netter Collection of Medical Illustrations. 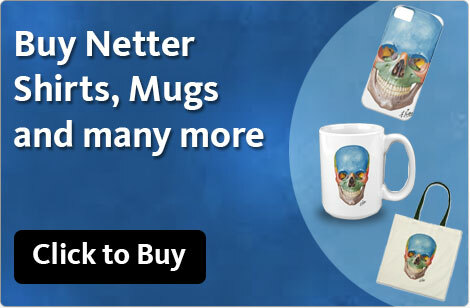 The Netter Collection is the most comprehensive collection of hand-painted medical illustrations available with a 50+ year history and a brand identity recognized and accepted as the standard by anyone who has ever received some form of healthcare training. The collection consists of thousands of illustrations covering all areas of medicine and health science, including basic science, diseases, disorders and treatments. 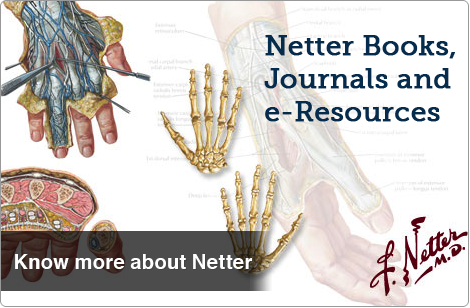 Netter illustrations constitute a natural reference point for both learning and reviewing new concepts in the basic sciences and clinical medicine. Elsevier continues to update the Netter Collection to meet the changing trends in medicine and health care. New art is created daily by our on-staff physician-artist Carlos Machado, MD. and other artists whose unique style and quality reflect the standard originally set by Dr. Netter.